Do some creative and interesting work to spend your Christmas holidays. Try out our Christmas coloring pages for kids specially prepared to improve craft skills of coloring. Christmas bells, decorations, santa, stars, tree, snowman and other fun interactive printables best loved by little kids and children. 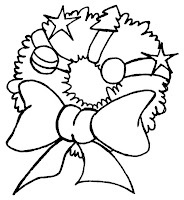 Download this Christmas coloring pages for your kids by clicking the image below !.